Thank you for your enquiry on the JOY! Christian Cruise for 2020. You are going to have a great trip with our various guest speakers and our pastoral team! In order to book, there are a few small steps you need to complete, please SEE ATTACHED for a full itinerary and below for details on how to book. Should you have any queries, please feel free to contact our offices. 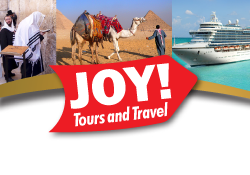 This is the only local cruise JOY! Magazine will be offering for 2020. Limited spaces so do not miss out! Kids under 18 travel free if sharing with 2 adults (As per MSC the food and accommodation is free). Mandatory charges of taxes, insurance and port fees apply for children. These are reduced rates and are as follows: Infant (0-1.99 years = R1000) Child (2-18 years = R2000). To travel with children, you must have a valid passport for the child as well as an unabridged birth certificate for the child. If travelling without both parents, additional documentation is required (please chat to our offices). MSC uses a “dynamic booking system” which means the prices fluctuate month to month based on demand and booking popularity. Prices as advertised may not always be available, as the prices increase as demand grows. BOOK NOW TO SECURE YOUR PRICE! Unfortunately If you try to book via MSC direct you will not be given access to the JOY! Events, so you must book through our offices. 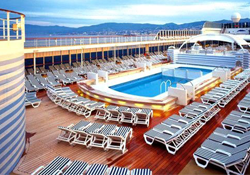 Balance of the cruise is payable 90 days prior to departure. Should you need a payment extension please chat to us. We would hate for anyone to miss out. At the Durban airport (outside the food court by Mugg and Bean) there are MSC shuttles that you can take to the port. These have to be paid for in cash; they leave every hour. Embarkation Note:Shuttle staff will check and remind passengers not to pack their passports / cruise documentation into their checked luggage as these documents need to be checked at the check-in counters and immigration control once at the terminal. Passengers who arrive by shuttle are assigned a designated cruise check-in lane facilitating shorter lines and quicker embarkation. Car parking is available only in Durban on a first come first served basis. The fare is approx. R120 per car per night (valid for all car types), which will be converted into USD at the actual exchange rate and will be added to your onboard account. 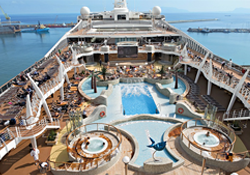 The cruise disembarkation will take place from 06h45 – 08h30. You can either book an MSC excursion for that last day (to see Durban aquarium etc) or you can book an MSC shuttle from the port back to the airport. Or you can always take your own taxi / uber service. For your return flight home, I suggest that you budget at least 1 hour to get from ship to airport and another hour for safety (in case the ship is delayed…which never usually happens). You should aim to fly 3 hours from when you disembark the ship; you can choose to disembark early at 06h45 or later at 08h30.